What Car Is More Fun Than You Imagined It Would Be? This past week I was lucky enough to drive a Baja Bug, based on the Volkswagen Beetle (I'll let you all figure out who it belonged to). I didn't go into it expecting much, but boy was it a blast. To be honest, I never was really interested in driving a Beetle. In my mind it was simply an economy car from a bygone era, slow and underpowered, with the most interesting thing about it being that the noise from the engine came from the back. Big deal. Oh, how I was wrong. 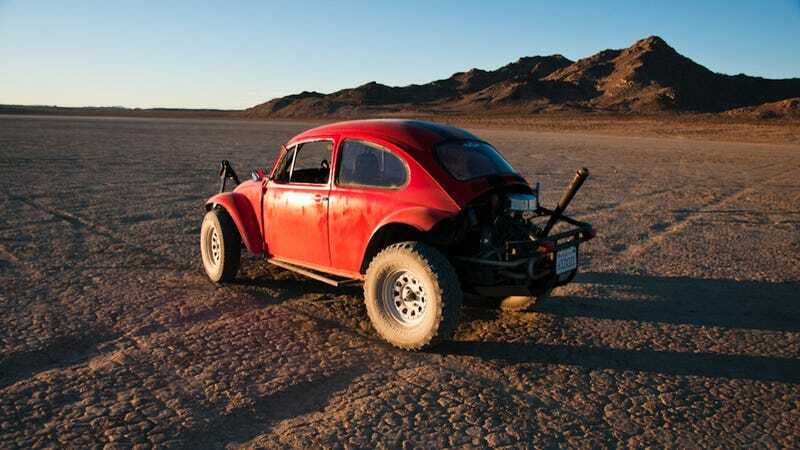 In Baja Bug-mode, the Beetle transforms into an entirely different beast. The open exhaust makes it sound like two air-cooled motorcycle engines fighting to destroy each other at the end of the world, while the vibrations and lack of refinement have you sure you're doing 90 MPH when really you're barely hitting 15. Plus, everywhere you go you get plenty of attention – and only the good kind. I know that a lot of cars meet expectations. If you drive a Ferrari 458, you know what you're in for. You not surprised when you step out of the cockpit. But what car has left you shocked, surprised, and overall overjoyed at what you just experienced? Let us know in the comments!